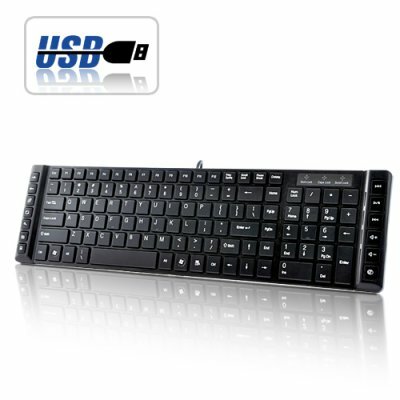 Successfully Added Ultra-thin USB Wired Keyboard to your Shopping Cart. It takes only a few words to explain the thousand reasons to own this sleek, ultra-thin keyboard. Check photos below to see how a true beauty this keyboard is. This unique keyboard is now available at an amazing wholesale price. Capture this opportunity to buy a sample today and we will express ship it within one day. Brought to you by your source of China factory direct electronics - Chinavasion. Yes, this ultra-thin keyboard will work on all computers, Windows, Linux, and Apple Computers.